The IFISH 5 Scientific Committee is inviting participants in developing countries representing Africa, Asia, Pacific and Latin America to submit abstracts on their research and/or experiences with occupational safety in small-scale fisheries, aquaculture, and seafood processing. 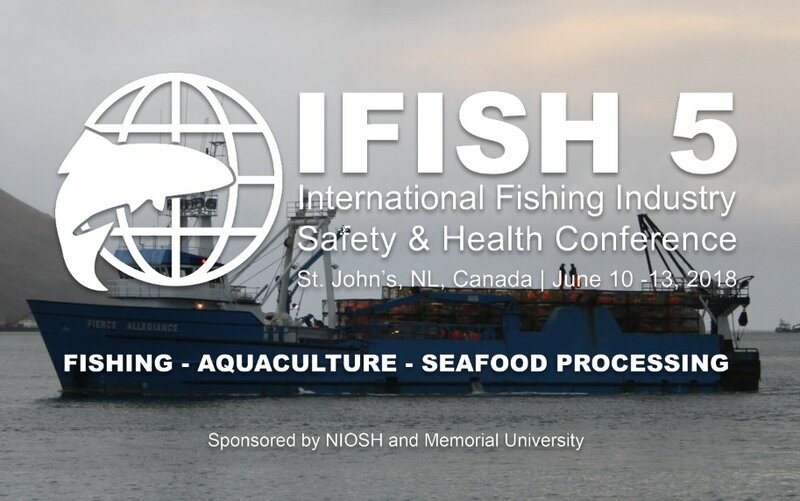 The National Institute for Occupational Safety and Health (NIOSH) in collaboration with the SafetyNet Centre for Occupational Health and Safety Research (Memorial University), will be hosting the 5th International Fishing Industry Safety and Health Conference (IFISH 5) in St. John’s, Newfoundland and Labrador, Canada from June 10-13, 2018. Individuals are invited to submit abstracts for oral presentations and poster formats. Abstracts can be submitted until January 20, 2018. For details, visit IFISH5 website.